Castle Biosciences‘ DecisionDx-Melanoma gene expression profile (GEP) test is a promising tool to identify melanoma patients at high risk of developing metastatic disease, according to recently presented data from five studies — one from Castle and four independent studies. The research was presented at the 70th Society of Surgical Oncology Annual Cancer Symposium (SSO) March 15-18 in Seattle, Washington. “We know that there is a decline in the rate of sentinel lymph node positivity with increasing age, which in turn reflects a greater need for accurate prognostic tools like DecisionDx-Melanoma,” lead study author Jonathan S. Zager, MD, FACS, said in a press release. “These study results confirm that the GEP test is a useful tool for accurately determining metastatic and mortality risk estimates in melanoma patients — including the older patients for whom the decision to perform a sentinel lymph node biopsy may be impacted by increased comorbidities, surgical risk, and shorter life expectancy,” added Zager, who is also a professor of surgery in the Cutaneous Oncology and Sarcoma departments at the Moffitt Cancer Center in Tampa, Florida. In the poster titled “Melanoma Risk Prediction in Elderly Melanoma Patients with a 31-Gene Expression Profile Test,” Castle researchers reported the results of 163 patients ages 70 and older who were evaluated with the DecisionDx-Melanoma GEP test to determine the risk of metastases. A Class 1 result indicated low risk, while a Class 2 result indicated high risk. The results of the GEP analyses were assessed along with sentinel lymph node biopsy (SLNB), a more traditional method of predicting the various stages of the disease. A total of 113 patients were tested with both GEP and SLNB. The researchers then evaluated distant metastasis-free survival (DMFS) and melanoma-specific survival (MSS), the two co-primary endpoints of the study. Results showed that the DecisionDx-Melanoma test was a significant predictor of DMFS at five years, with a prognostic accuracy of 92% for low-risk disease (Class 1), and 53% for high-risk disease (Class 2). The five-year melanoma-specific survival (MSS) rates were 98% for patents at low risk of metastasis and 75% for patients at high risk of metastasis. The researchers concluded that the DecisionDx-Melanoma test provides a good prognostic value of a patient’s individual risk of metastasis and adds prognostic value to traditional staging methods. When the team combined the DecisionDx-Melanoma test results with those from the sentinel lymph node (SLN) biopsies, they found that the five-year DMFS rate was 91% for patients who were both SLN negative and at low risk of metastasis, vs. 78% for SLN alone. Similarly, SLN positive patients with a high risk of metastasis had a five-year DMFS of 40% vs. 51% for SNL alone. “These data add to the robust support from multiple independent studies showing that DecisionDx-Melanoma is a clinically important tool that can accurately identify a patient’s individual risk of metastasis,” said Federico A. Monzon, MD, FCAP, chief medical officer of Castle Biosciences. 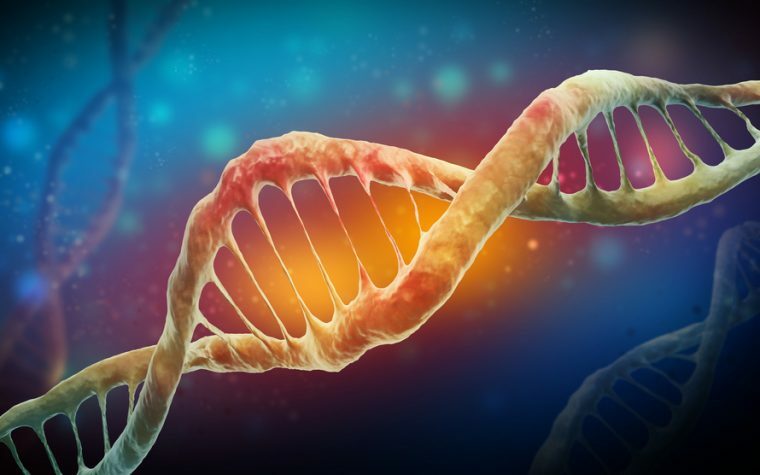 Another study presented at the conference, titled “Impact of Genetic Expression Profile on Decision-Making in Clinically Node Negative Melanoma Patients after Surgical Staging,” was presented by a research team from Oregon Health and Science University. This study assessed the management of patients who received the DecisionDx-Melanoma test after they had been diagnosed with cutaneous melanoma. While the majority of deaths due to melanoma are seen in patients who were diagnosed with early-stage disease, current guidelines do not include routine exams for patients with stage 1 or 2a melanoma. Based on data from previous studies showing a high prognostic value of using the DecisionDx-Melanoma test, the research team included the test in the risk assessment of 119 patients. Of these, 91 patients also had a sentinel lymph node biopsy performed. The researchers found that 56% of patients with a low risk of metastasis (Class 1) were followed by a dermatologist, compared to none of the patients at high risk of metastasis (Class 2). In addition, the team found that 66% of patients at high risk of metastasis were followed by surgical or medical oncology with a recommendation for an adjuvant trial, compared to 19% of patients at low risk of metastasis (Class 1). 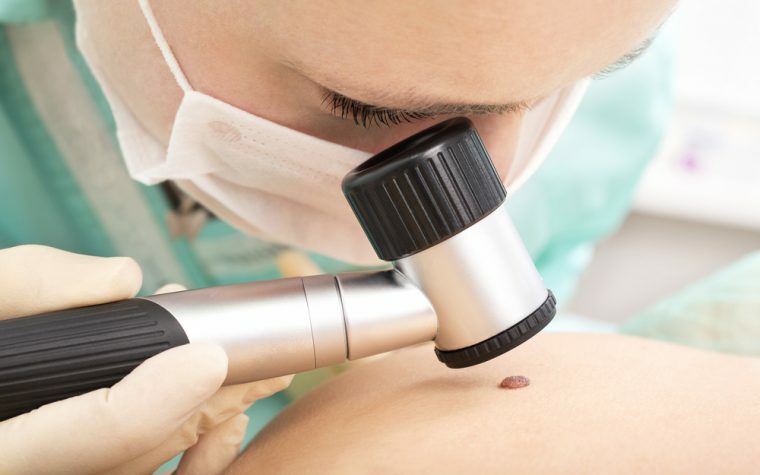 The researchers also found that the DecisionDx-Melanoma results had a significant impact in the clinical management of patients with Stage 1 or Stage 2 melanoma. The team reported the outcomes of 95 patients with Stage 1, 2, or 3 cutaneous melanoma who received the DecisionDx-Melanoma test in combination with standard staging factors. The study found that only 4.9% of patients at low risk of metastasis (Class 1) had disease recurrence, compared to 24.1% of patients at high risk (Class 2). Among the Class 2 patients who had a recurrence, 77% had a distant metastasis. Tagged 70th Society of Surgical Oncology Annual Cancer Symposium, Castle Biosciences, DecisionDx-Melanoma gene expression profile test, metastatic disease.